My experience with black lights is extremely limited. There was that time a boyfriend in high school started making his room black light friendly but I just kind of bopped around in my own little world so it's just a vague memory. Most recently my nephews and I have discovered black light miniature golf. Walking through and seeing glowing dinosaurs and crazy bright smiles is a lot of fun. So why not bring that fun to some every day type of games? 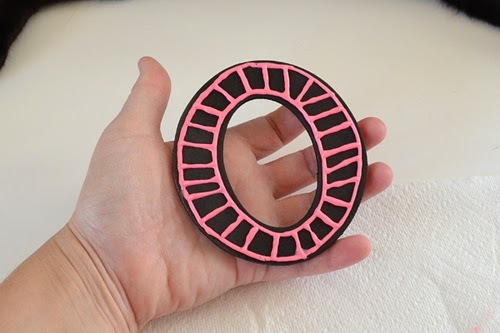 A black light is fairly inexpensive and kids are obsessed with new things, even if it is really an old thing made new because now it's played in the dark under a black light! First off we need to get one thing straight, because I sat in the dark in my bathroom for ages. You see I had put my project under a regular bulb to "charge up" and then couldn't understand why I couldn't see them in the dark. Which lead to a Google search. Black light paint is NOT the same as glow in the dark paint. Black light (also called fluorescent) paint emits a bright light under the the special wavelengths of UV that a black light produces. While very pretty under these black lights, it will not glow in the dark after exposure to any kind of light. It can be a very pretty neon color, however in normal light. Glow in the dark paint is photoluminescent, meaning it will emit light after it has been "loaded up". 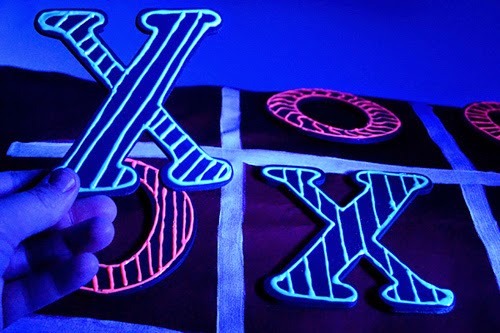 However, it can emit a bright and very pretty light while underneath a black light. So does that clear things up a bit? Let's take off the science hat and get the crafty hat back on... Oh, but if you're somebody who really gets this science stuff, feel free to leave any info I might have missed or just flat out misunderstood in the comments so I can add it in! At craft stores you'll find all sorts of fabulous wooden cut outs. 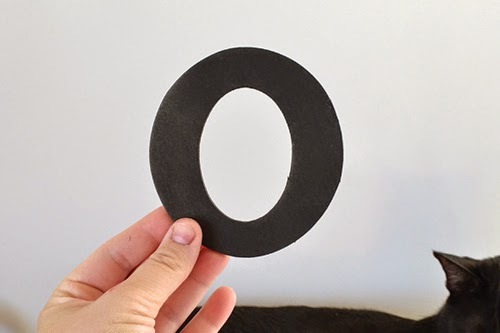 Look for letters that are about 4" in size. You'll need 5 X and 5 O shapes in total. 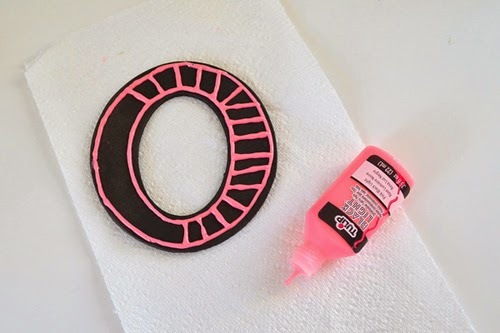 Remove from the packaging and give both sides a good coat of flat black spray paint. Outline your shape and fill in as you please. 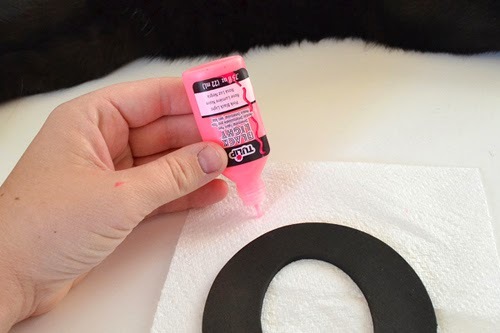 Quick tip, tap your tube upside down to help push the air bottles to the top and away from the stream that comes out as you draw. 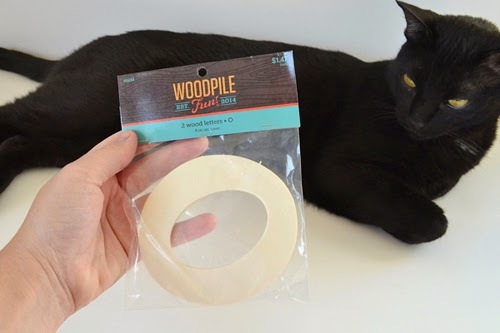 This well help with less "belches" where the paint flies everywhere on you! And continue for all of your X and O shapes. 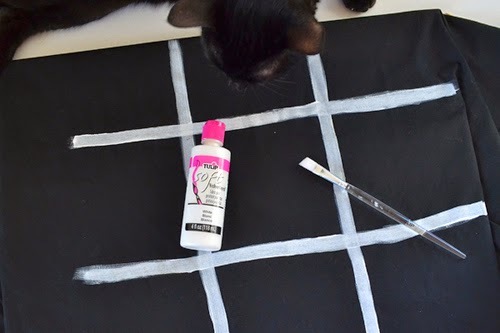 Using your fabric paint, swipe on your tic tac toe playing field. I LOVE using Tulip Soft paint for things like a pillow case that actually gets used. Have you ever been given a decorated pillow case that was rough on the face? Because I have and I felt obligated to use it and it was awful. But with this kind of paint, you barely notice it's there! 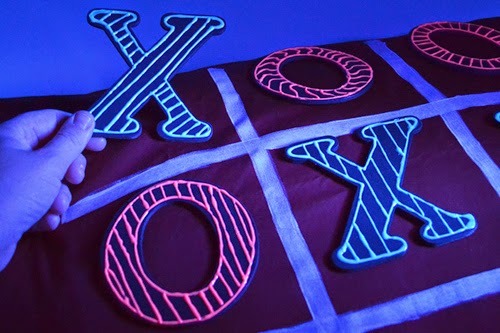 When everything is dry, toss a pillow inside, get that black light shining and get ready for some fierce competition! If your room is completely dark except for your black light, you'll get the best and brightest shine! So what do you think? 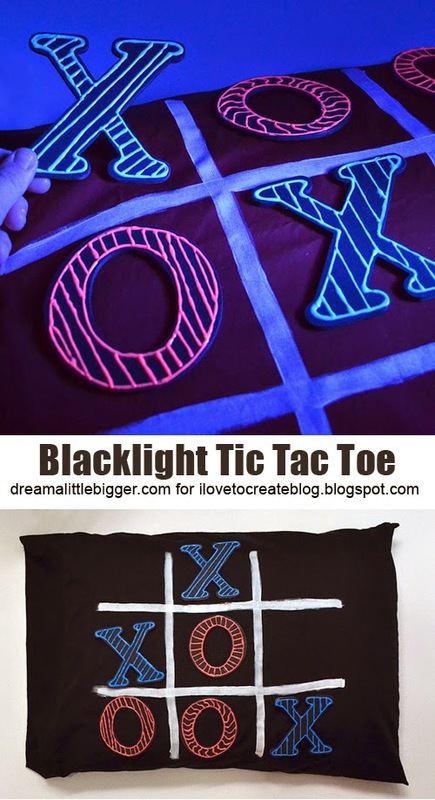 Will this new spin on an old classic with Tulip Black Light Paint keep your kiddos occupied for hours?